1. Press the blank space on the left to move the battery. Press the top left green cylinder 3 times. Press the blank space on the right to move the battery. Press the top right green cylinder 5 times. Press the blank space on the left to move the battery. 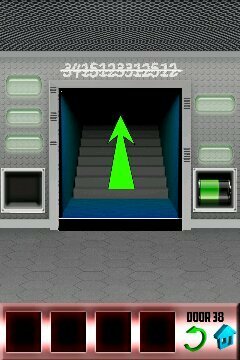 Press the middle left green cylinder 4 times, then the bottom left cylinder 2 times. Press the blank space on the right to move the battery. Press the bottom right green cylinder 6 times.